Simple whipped potatoes is a basic recipe that every cook should know. Everyone big and small likes mashed potatoes and they go with almost everything. 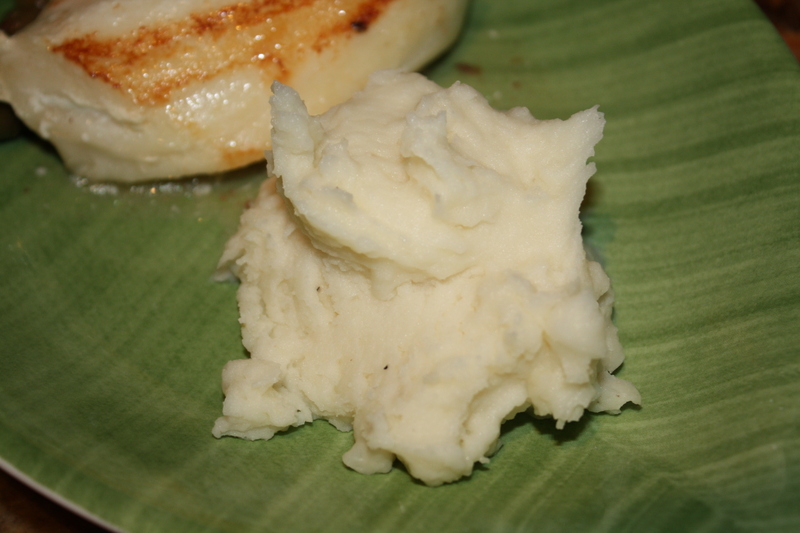 Believe me, this is so easy and delicious you will never make those instant mashed potato packets again in your life! A few days ago I made a batch and served it to my family as a side dish to sea bass with olives and capers. I also use this recipe as the starting point for my roasted garlic mashed potato recipe, my “relleno de papa” recipe, “tambor de papas” and potato and carrot puree among others. a) cut potatoes into large cubes of similar size so that they cook evenly. b) place potatoes in cold or warm water to cook and then bring to a boil so that the potatoes cook evenly. c) once the potatoes are whipped or mashed to your liking, place them in a double boiler or “bain-marie” so that they remain smooth and fluffy. If you don’t do this, you will be eating the hardest mashed potatoes of your life! This is a great tip I learned from my late father-in-law Don Tony , this way I can make the potatoes ahead of time and not worry about their texture and fluffiness. If you don’t have a double boiler, put a heat proof bowl over simmering water and cover. 1. Peel 5 medium sized potatoes and cut it into uniform large cubes. 2. Put potatoes into medium saucepan that is filled halfway with water. Add generous dash of salt and bring to a boil until done. 4. 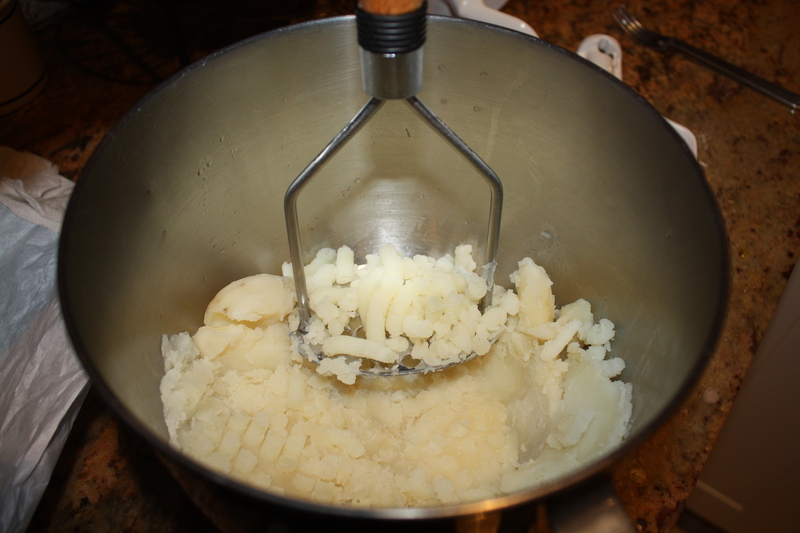 Whip mashed potatoes for about 3 minutes. Be careful because bowl will get hot. 5. Once you have reached desired consistency, place whipped potatoes into a double boiler or “bain-marie” over low heat until ready to serve.